Simone ‘Boss Lady’ Amelia – The Dream Catcher! Raised in the inner western Sydney suburb of Burwood, Simone ‘Boss Lady’ Amelia is no stranger to hustling hard for what she wants. What she wants is to be a boss. What she has become has exceeded even her wildest dreams! Since moving to the Empire State some six years ago, she has taken over New York City as one of the hardest working Hip Hop music journalists, radio personalities, celebrity- wrangling, sneaker designing moguls in the making, juggling it all whilst strutting in her red bottom Louboutins. She has come a long way from her humble upbringing in a home of strong willed women, raised by her mother and grandmother in keeping with her proud Lebanese and Cypriote culture. She broke ground for the Australian hip hop community by creating and spear-heading one of the first hugely successful commercial urban magazines, Urban Hitz, gaining a legion of beloved readers and filling the much needed gap in the hip hop music magazine world. Her efforts were noticed by heavyweight US hip hop fashion distributors DrJays and she quickly went from editing her magazine in Sydney to steering the helm as Online Content Manager of DrJays.com in Union Square NYC. From Burwood to Harlem, Simone has been fearless in her approach to living her dream and making her mark in the world of Hip Hop. 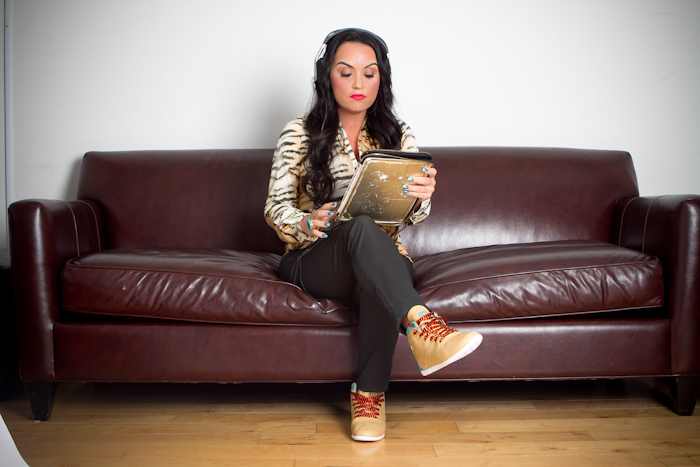 As she launches her own ‘Boss Lady’ sneaker with Reebok in the US and takes to the mic as radio co-host alongside DJ Green Lantern on Sirius Radio’s Hip Hop Nation, Simone’s story is one of dreaming big and living bigger……and she has only just begun! 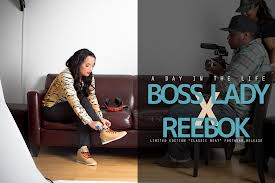 Congratulations of the launch of your new Boss Lady sneaker with Reebok! What an incredible opportunity and blessing. How did this idea come about and how has life changed for you now as a sneaker designer becomes a part of your growing resume? You have been in New York for six years now and your career has truly morphed into a mini empire! How would you best describe your journey to date from when you first landed in NYC as a wide eyed journalist in search of hip hop truth? The differences between Aussie hip-hop and American hip-hop are varied in the extreme, yet at the same time some similarities ring true! As a surveyor of both countries’ urban talent what would you honestly say their greatest strengths and weaknesses would be and why? You live in Harlem NYC, an area rich in cultural, ethnic and musical history. How has living in such a historical part of New York helped shape the way you live? You not only report, research, develop, write and design but you are also a mentor to a very special organization – can you share your experience as a mentor and how giving back is just as important as receiving? What do you do to stave off the homesickness pangs that often creep up when home is abroad? What do you miss the most about living in Sydney? You have interviewed so many celebrities over the years and asked too many questions to mention. However is there any one question you’ve asked that has either led to the best answer you’ve received or one that has not been so warmly received? How do you best prepare for your interviews? What are your plans for 2013?